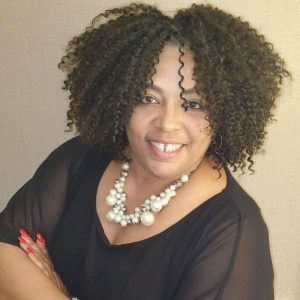 The Board of Directors of the Midlands Mediation Center, a non-profit conflict resolution organization serving central South Carolina since 1998, selected Kabrina Bass as its new Executive Director effective September 4, 2018. “After assessing our needs, and then a robust regional search and selection process for our next executive director, it was apparent that Kabrina’s passion for community, leadership, and organizational development, as well as her skills and experience, is what we now need to lead the Midlands Meditation Center forward” says Board Chair Shawn Reeves. Kabrina has a bachelor’s degree in religion with a minor in communication from Columbia College and a master’s degree in religion from Lutheran Theological Seminary. Her 16 years in community-building, nonprofit organizational management, training, professional development, marketing and communication, as well as owning her own business are all skills the Midlands Mediation Center will utilize going forward. “I am excited to be sharing my experience, passion and desire for making a global difference, one community at a time to the important work that the Midlands Mediation Center does. It is so important to bring people together to engage in conversations that resolve conflicts, improve relationships and strengthen community,” says Kabrina Bass. The Midlands Mediation Center celebrated 20 years of service in 2018.
to individuals and organizations in central South Carolina.